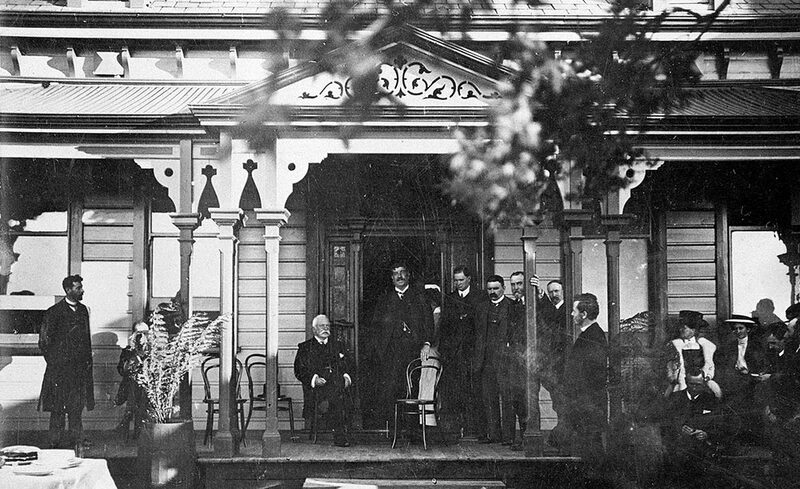 The opening of the Warragul District Hospital in the winter of 1908. Photographer unknown. In West Gippsland there are two kinds of hospital waiting times: the time taken for a doctor to see you, and the time waiting for a hospital to be built. It seems we have a long history of the latter. With this month’s launch of a fresh campaign for a new hospital to finally be built on a greenfield site, we took a look at the history of the existing Landsborough Road hospital. The story of the site and the proposed new building are already surprisingly similar. This article covers main hospital building and operations. Linen and aged care services have grown with the hospital but are not covered here. Plans for a hospital on the present site were made in the mid-late 1800s, but the fact the building wasn’t officially opened until 1908 gives some idea of the story to come. A hospital was an early goal for the town, and by 1888 £1,800 had been raised for construction and three acres of land on Landsborough Road had been donated by Mary Sargeant. Construction was underway by 1889, but the 1890 Royal Commission into Public Health saw major changes made to the Victorian health system. Critically, councils were given the task of enforcing sanitation standards, including waste disposal and pollution prevention. Sanitation standards might sound like something relatively easy to comply with, but site drainage was a serious factor. We all know how much this region likes to flood, so it’s no surprise the newly completed hospital’s water management was deemed inadequate. With no money left, the hospital was forced to remain closed after construction was completed in 1895.
after its construction. Photographer unknown. With funding difficult to secure, it wasn’t until 1907 that the shire engineer drew up plans to fix the drainage and satisfied the Board of Public Health. In 1908, Victorian premier Thomas Bent visited the site and promised a state grant of £500 toward the hospital’s completion. It was finally officially opened in the winter of that year. It wasn’t long until the facility was expanded. After 1924’s name change to West Gippsland Hospital, the original building was redeveloped in 1936. 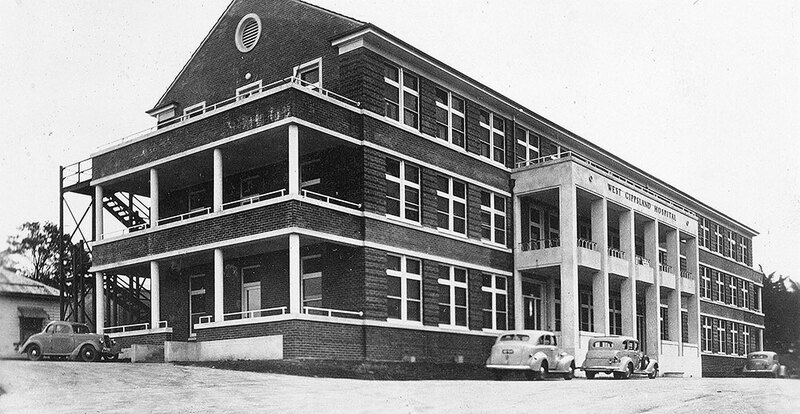 A new brick hospital building on the same site was constructed and opened in December 1939. It still stands as a central part of WGH today, albeit with a large number of additions and modifications. Money was constantly tight for many hospitals in the 1950s and 60s, but with extra help from community donations several significant upgrades were made to facilities. In 1970 WGH’s eastern extensions were opened, allowing for 144 beds on-site. But the hospital’s growth and limited funding caused nurses and accountants enormous stress in the 1980s. The 1990s saw the hospital’s focus broaden to all community health in the region. The creation of the West Gippsland Healthcare Group in 1997 brought several of the region’s health services together. Modernisation of the now-very old 1939 building was a priority, with stages being completed in 1996 and 1998. Stage three, which included works on the high dependency and midwifery units, was completed in 2006. There’s no denying the West Gippsland Hospital is struggling with demand, and a move to a new site near the intersection of Princes Way and Lardners Track is viewed by many as its future. Like the Landsborough Road site, the land belongs to the healthcare group thanks to the generosity of locals; a large, anonymous donation to the hospital 11 years ago allowed the site to be purchased in 2007. A 2011-12 feasibility study for the hospital’s redevelopment identified that land as the preferred site for a new hospital. The emergency department extended between 2012 and 2013, and the high dependency unit was moved to the medical unit to increase the number of post-natal and medical unit beds in 2015. 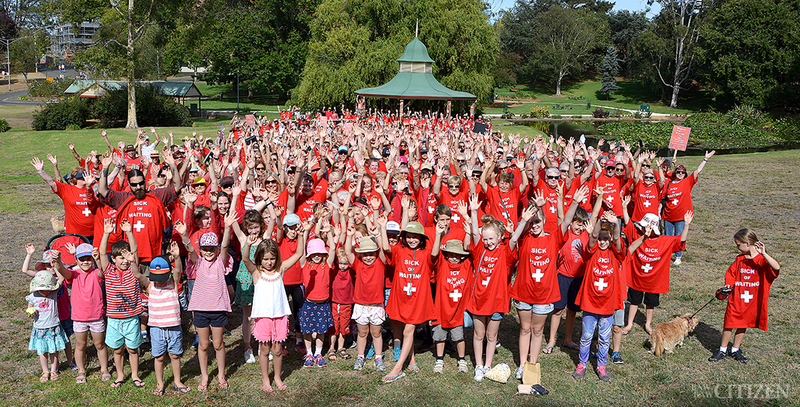 Hundereds turned out for a ‘Where’s The Funding’ campaign photo in Warragul’s Civic Park at short notice – March 2018. “There are lots of indicators saying we’re already struggling to cope with the demand, and of course the population is growing,” Mr Weeks told the Baw Baw Citizen in March. A comprehensive review of West Gippsland’s healthcare needs was conducted in 2015, with state health minister Jill Hennessy saying other health services as far away as Berwick will be considered when deciding the future role of and potential upgrades to WGH. With the 2018 Victorian budget fast approaching and a state election in November, we may soon see a commitment to expansion. We might also be facing yet more waiting. Information predominantly sourced from Laele Pepper’s 2008 book Of the People… for the People, published by the West Gippsland Healthcare Group. Additional information was sourced from the WGHG’s Annual Report 2016-2017. Special thanks to Malcolm Dickson.